It's been a long time since I've been genuinely addicted to a game. Sure, I've burned a couple of weeks each revisiting some old GOG favorites (Lands of Lore, Magic Carpet, Dungeon Keeper, Tie Fighter just to name a few), and even ground a League of Legends character to level cap. Still, nothing quite had that enduring quality like those early years poured into World of Warcraft. Now, I'm looking at 234 hours invested in Kerbal Space Program, and wondering how my next game addiction after WoW ended up as a single-player indie game. 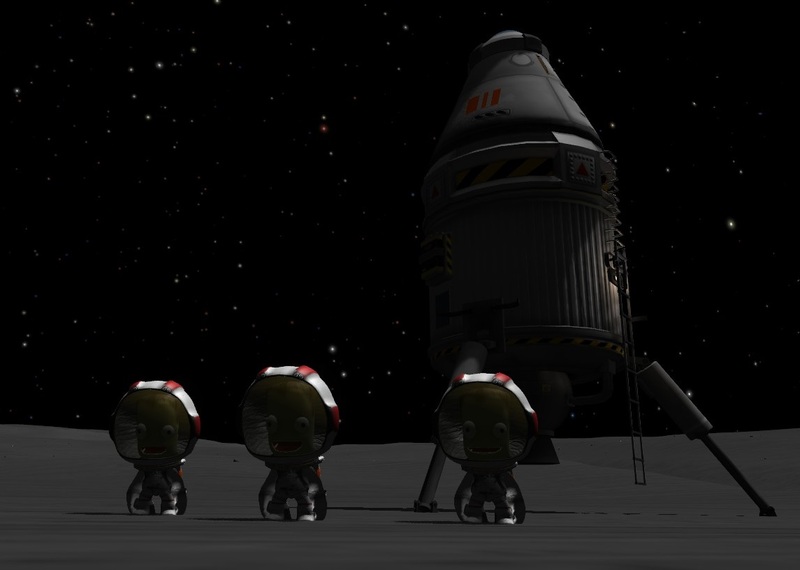 Kerbal Space Program is available on Steam, GOG, their own store and soon on Xbox One. It combines the aspects of a flight simulator with a detailed orbital mechanics simulator. A beautiful planetscape is rendered below you, a starfield above... but you're staring at your calculator in your lap deciding if you have enough delta-V to get back into the atmosphere. Kerbal Space Program is to Newtonian physics what EVE Online is to macroeconomics. The primary objective is, as you'd expect, to build a space program. But it's hardly all you can do. Atmospheric planes are first-class citizens, and you can fly around as well as any flight simulator. 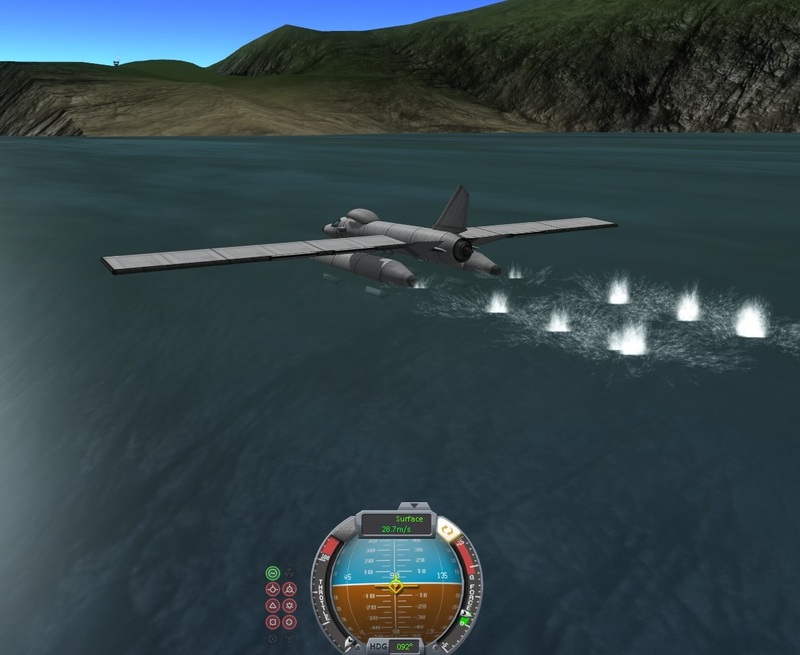 With some creativity you can get seaplanes built, jetboats, or even submarines. Quadcopters. Even basic vehicles can rove around the landscape. But it's addictive. Mostly due to the inevitable descent into "Kerbal Engineering". You can piece together some pretty crazy rockets, and they'll mostly fly. Manned. And then invariably they'll get stuck, and you'll need an even crazier approach to rescue your people. With each success, you get more ambitious, build crazier contraptions, get them even more stuck, and the cycle repeats. The quadricopter. 4 jet engines on a small remote control frame. Easy to fly. 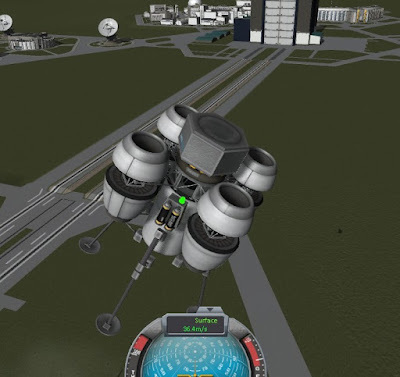 Surprisingly difficult to land. Seaplane landing near the old hangar. Capable of landing and taking off again effectively from land or sea. Assembling an interplanetary mission in space. 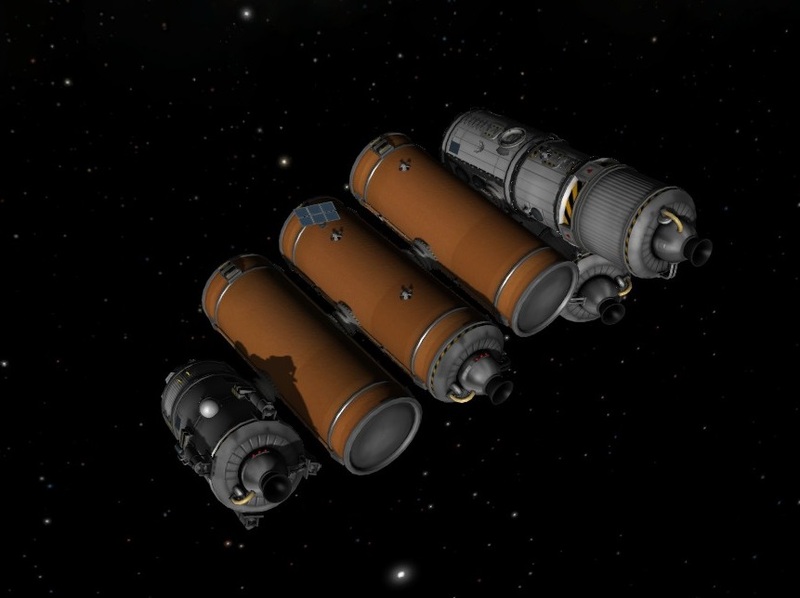 A small space station, a lander, and of course tons of gas.